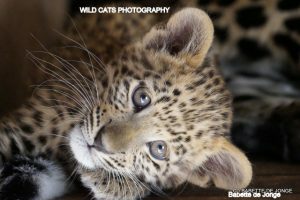 Olive is born at Wild Cats World, November 4th 2015, one of two cubs (Olive & Kali) in the first litter of our African leopard couple Feline & Felipe. 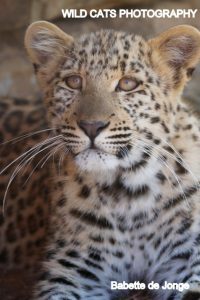 Sadly Kali died, aged 6 weeks old, due to an unfortunate incident, but Olive currently is an important part of the WCW Leopard Conservation Project and “experiment” to keep two families of leopards in a Pride, and show the world “The Other Side of the Leopard”. 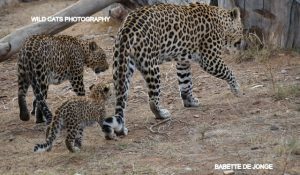 But we are working on a release for her and Solo (and after that hopefully more youngsters born at our place) in the Private Game Reserves that already showed interest. More about this on this website when there’s more news to tell. 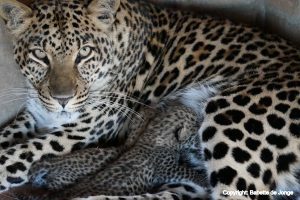 Olive luckily soon got company again of little Solo, the two months younger son of our other leopard couple Felix & Felicia. 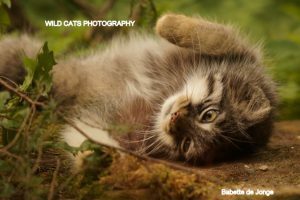 We as always breed in a responsible way, and we aren’t a breeding programme as such. 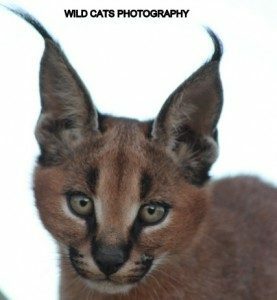 All the ambassadors at Wild Cats World will be assured of life-long care at our sanctuary and conservation/education project, Eastern Cape/South Africa. 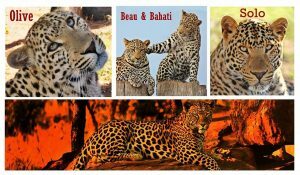 If you like to support the African leopard, and our project? 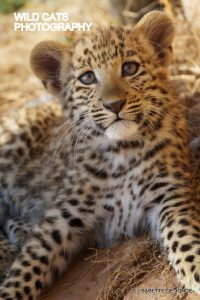 It is possible to do a (symbolic) adoption, essential for the work we do for the leopards, our ambassadors and the survival of their species in the wild.